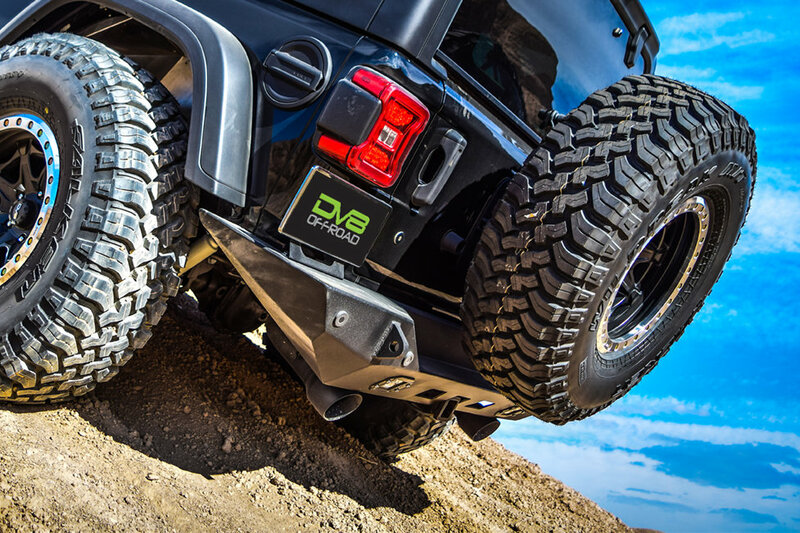 The DV8 Offroad Full Length Rear Bumper with LED Lights provides additional protection for your Jeep Wrangler JL.DV8 constructs this bumper from durable cold rolled steel. It features raised corners, high degree angles, integrated D-ring mounts, and cutouts for flush mount LED backup lights. To protect against corrosion and scratches, this bumper has a heavy duty powder-coat black finish. No modifications, cutting, drilling, or welding are required when installing this rear bumper. It is compatible with factory style hitches, and still works with the the OEM proximity sensors. Bolt-On Installation: No modification are necessary to install this rear bumper. The factory proximity sensors will still work and you are able to reuse your factory style hitch. High-Quality Steel: Powder-coated with a black finish on the cold rolled steel is durable and helps with resistance to corrosion and scratches. Features: There is space for D-rings to be placed on the mount built in to the bumper and is compatible to have LED flush mount back up lights. 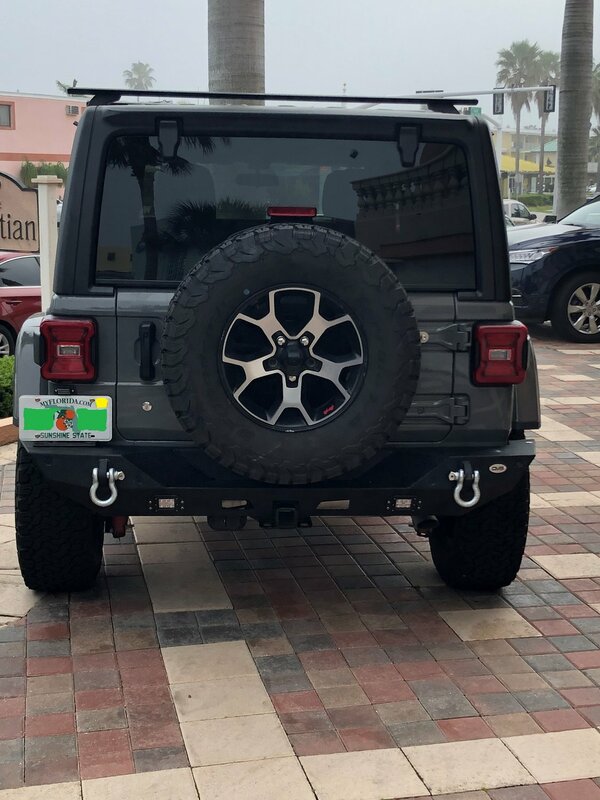 I bought this bumper for a 2018 JL Rubicon to replace a factory plastic bumper with backup sensors. It is a super nice bumper and has a much improved departure angle. 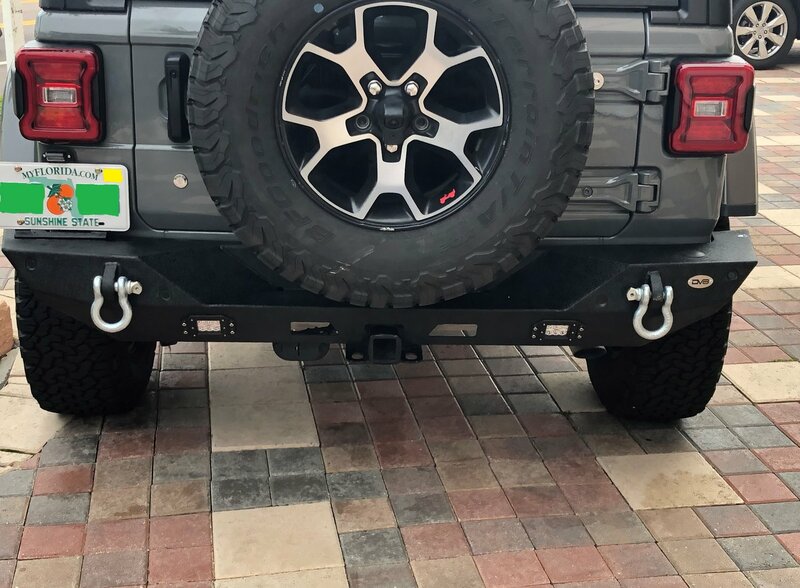 With the license plate relocation bracket you can leave your plate on when you are wheeling. The reason for the 3 star rating is primarily because the instructions are shamefully awful. If you don’t have backup sensors, it is a very straight forward install. If you have the OEM plastic bumper with sensors, get ready for a wiring project. What they don’t tell you is that once you remove the OEM bumper, you will have to completely disassemble it in order to cleanly remove the sensors and the wiring loom. You need to remove (20+) 8mm hex screws and many plastic fasteners. After you CAREFULLY pry the sensors off of your OEM bumper you will quickly notice that the wiring loom is too short to span the middle sensors on the new bumper. You will need to cut and splice (6)18-gauge wires to add about 12-14 inches to the middle of the factory harness. I used JB Weld to adhere the sensors to the new bumper which worked nicely. You will also need to combine and extend the two rear LED lights and tap into your reverse light wire. I tapped into my driver side fixture also all of my wiring was heading in the same direction. The lights are excellent and make a big impact while backing. You will also be snipping your factory license plate wires and extending those to the new bracket. If you aren’t experienced and super comfortable around 12V wiring, maybe leave this install to your local shop. It is a great looking bumper and I am very happy with it, just wish the fitment notes and documentation was better. With all of the unknowns, it ended up being about a 6 hour install. 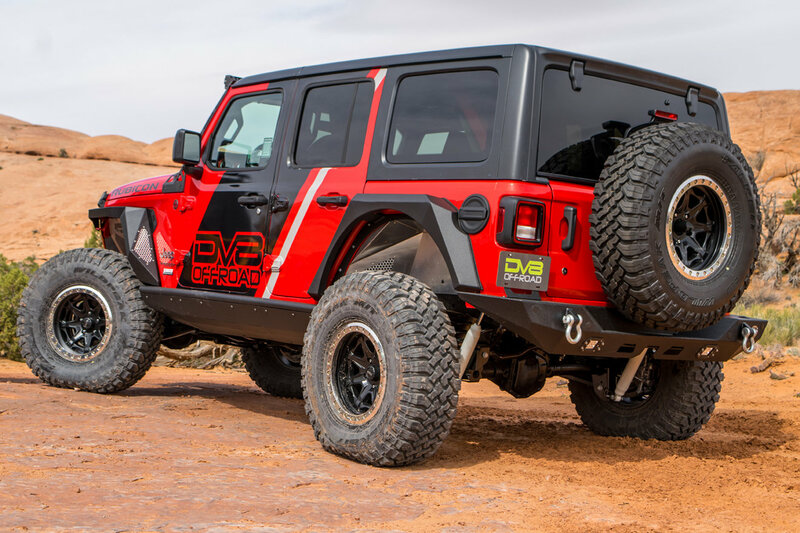 Does this bumper come with a license plate relocation bracket like DV8 bumper RBJL-06? Thanks!